It’s been over two months since details of the global Equifax data hack or breach came to our attention and nearly 4 months since it actually happened. We’ve all taken a number of steps to protect ourselves, their website was hacked again and tried to install malware and Equifax admitted that 694,000 UK householders details were stolen. Can I apply for credit after the hack? The answer is “Yes” but you need to make sure you’re protected. If you’re coming to the end of an existing loan deal or just need some extra cash to help with a temporary loss of income or financial emergency, don’t fear, you can still apply but there are some simple steps to follow. Before you enter any personal information, check to make sure the website is secure and legitimate. You can check pretty easily by making sure that the lock/padlock logo appears in the browser address bar. Make sure the URL has https for secure, and the padlock symbol means the website is using SSL which requires them to prove who they are. Watch out for offer emails from companies you’ve never heard of, if you do trust the email, check the website directly before following the link and only enter you details once you’re sure the site is safe and secure. 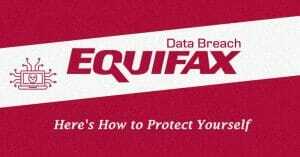 Spammers using the data from the Equifax data hack will have enough info on you to appear authentic so you must be on your guard. Two-factor authentication is where you’re asked for a password and then sent a text message or similar to a separate device to make sure it’s you logging in. A hacker can’t do this so once it’s switched on at your bank and other services with stored card details, you’re pretty safe. If your bank or building society offers alerts for suspicious activity, sign up to their emails or sms and get ready to change your password if you get an alert. With 694,000 UK residents being affected by the breach, it pays to be careful and vigilant but it needn’t stop you applying for a short term loan today.